December 26 marks the 10 year anniversary of one of the worst natural disasters we have witnesses in our time. 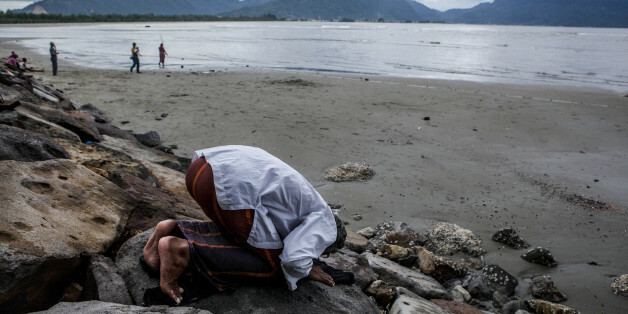 The Asian Tsunami claimed nearly 230,000 lives across Indonesia, Sri Lanka, India and Thailand. About 35,000 of those lives were lost in Sri Lanka, my native country, where thousands were slowly waking up, or choosing to sleep in on the day after Christmas. In the decade since, I have returned to Sri Lanka many times, as a relief worker, as a development sector professional, and as a native daughter. I was one of the lucky ones. I did not lose anyone dear to me in the tsunami. Instead I had the privilege of meeting countless mothers, fathers and children who continue to persevere despite having once lost absolutely everything. The decade has left me with two deeply ingrained lessons: Firstly, that humanity has a seemingly boundless capacity for resilience. And secondly, that hope has no bastion, no champion, like a determined mother. This week 10 years ago, I watched CNN's Anderson Cooper interview family after family in front of ruins and remnants of their lives from the comfort of my Portland suburban home. As I stayed glued to my TV, I felt a weight and force within me so overwhelming that I suddenly understood how the terms "heavy hearted" and "gut-wrenching" had taken root in the English language. I listened for the stories being told in my mother tongue, Sinhala, and tuned out the dubbed-over translation. It angered me that the English sound bites were so woefully inadequate at capturing the full and searing depth of these survivors' pain. With everything lost, wasn't the least they deserved to have their stories told with the same raw, open-eyed and open-hearted honesty that they shared them with? Story after story; devastation, resilience, hope, more devastation. At times the intensity of the emotion, and the empathy that gushes with the familiarity of your own people looking at you from behind the glass and telling you their stories in your language, all that nuance and sub-text that you perfectly understand... sometimes it was all too much. At the time I ran a tech start up in Portland, and wanted desperately to work in international development instead. It would happen eventually, I kept telling myself. Eventually was now I decided, so I called the Red Cross. I called Mercy Corps. I offered my language skills and time for free. I had a degree in international development. I was willing to travel and do pretty much anything. But I had no experience... A few months later, I did end up getting to Sri Lanka, largely because the support of loved ones and family who encouraged me to forget about conventional ways to work in the development sector. Start your own small non-profit, they urged. Once on the ground, the learning was unrelentingly fast, brutal, and overwhelming. Ten years later the one word that sums up the impression that Sri Lanka has left me with is "resilient." This resilience is cast in stories that are debilitating just to hear, like the mother of four who lost every single one of her children including her youngest who was celebrating his birthday when the wave came into their home, and another mother who helped to save three of her neighbor's children but could not save her own. And yet, these are stories that these individuals live through, survive, imbibe, and inexplicably seem to propel them forward in service of others in their community. Humanity has a seemingly boundless capacity for resilience. Resilience is the ability to recover from difficulties, to bounce back; it's the capacity of humans, systems and organizations to adapt and to bend, so that they don't break. We all know of someone who has overcome devastating circumstances. And that someone, hopefully, strives and thrives still. Resilience in the face of loss of livelihood, support systems, and loved ones is an unimaginable and yet daily reality in the lives of some, particularly the ultra-poor and chronically marginalized. In the development sector, a focus on resilience has gained steady momentum. Organizations from the World Bank to Rockefeller Foundation are emphasizing resilience in their programming efforts. If the past 10 years in Sri Lanka is any indication, they are on to something. It's good business to invest where capacities are ready and latent. While individually, we may tire and fail at times, collective human resilience appears to be an inexhaustible, limitless and very natural human resource. Key to resilience is hope, and if there has been one other lesson that I have learned, it is this: Hope has no bastion, no champion, no natural home like a determined mother. It's a different kind of hell hath no fury, really... The development sector has made a point over the last decade to focus on the girl child, and women. I have seen firsthand how and why this makes sense. It's not just that women spend money in ways that reinforce the family, or that they emulate behaviors and values, or impart education to their children. Their natural capacity for hope for their children and for their communities against all odds is a formidable force that can only amplify the best of NGO interventions. I no longer work for the small nonprofit I started, that took me to Sri Lanka and into the development sector. 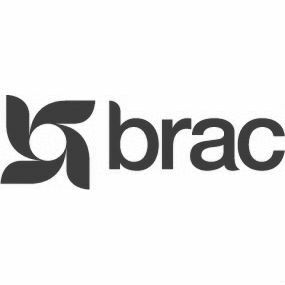 I now work for the largest development NGO in the world called BRAC. BRAC has its own story of resilience in Sri Lanka. Founded over 40 years ago in Bangladesh, BRAC came to Sri Lanka right after the Tsunami to assist a neighboring country in its greatest time of need, and then charted an unlikely course for a relief initiative. From 2005 to 2014, BRAC transitioned from an aid organization utilizing foreign aid to provide emergency relief and rehabilitation in the wake of the tsunami, to becoming the largest microfinance institution in the country, to entering the for-profit financial services sector and finally engineering a sale and departure from the market. Few organizations respond to a natural disaster with a view to sustainability and exit. On the ten-year anniversary of the disaster BRAC has released a case study on its experience in Sri Lanka, "From Aid to Enterprise: BRAC's Evolution from Relief to Sustainable Financial Services in Sri Lanka" chronicling this story. Today, almost anywhere on Sri Lanka's coastline, you would hardly know the magnitude of horrors endured there. I've witnessed caring and curious tourists asking hotel staff, waiters and new friends, "Was this particular establishment affected? Were you in the tsunami?" Invariably, the resilient and the hopeful smile a knowing smile and tell the stories that are theirs to tell. 10 years on, let's take a moment to remember lives lost, and fundamentally changed in an instant. And let's pause to reflect and wonder at the resilience and hope within all of us.